Why not try to win the overall GYOP prize of a Junior Octobrunch for your school, by entering the weight of potatoes you grew from the three Rocket seed potatoes? There is also the opportunity for your school to win one of ten regional prizes of £100 worth of gardening vouchers by entering the weight of your second variety ( one per region – East Scotland, West Scotland, Wales, NE North England, NE South England, NW England, Central North England, Central South England SE England & SW England). Plus, there are more prizes on offer from The Sun’s competition for the single heaviest potato and largest number of potatoes from one bag (any variety). 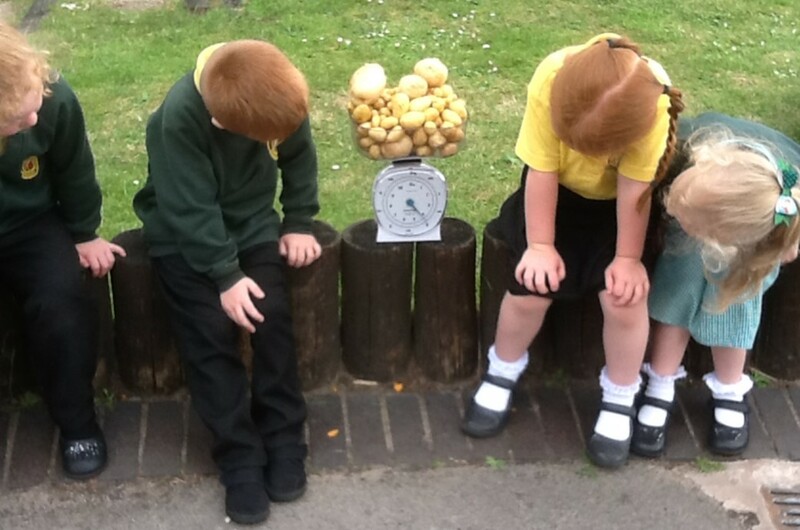 Please remember to take pictures of your class harvesting and of your harvested potatoes on the scales, showing the weight, to support your Heaviest weight entries. In order to take part in the competition schools must adhere to the rules. Any school found not to have done so will be disqualified. Why not celebrate your schools potato growing achievements by printing off your very own Grow Your Own Potatoes certificate? All you have to do is print and then fill in your school’s name and weight of crops grown and display in the classroom. A brilliant way for the children to remember their success.